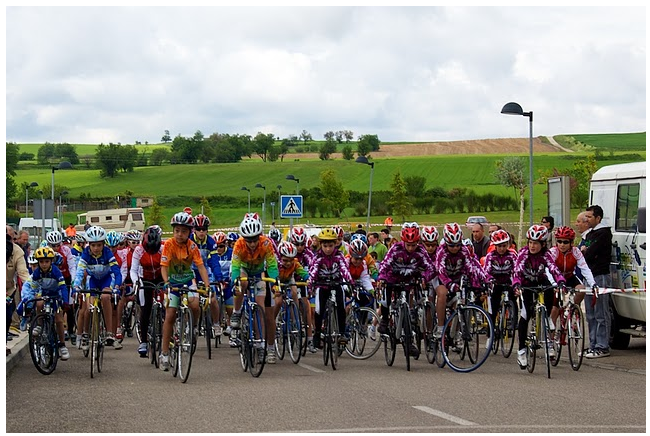 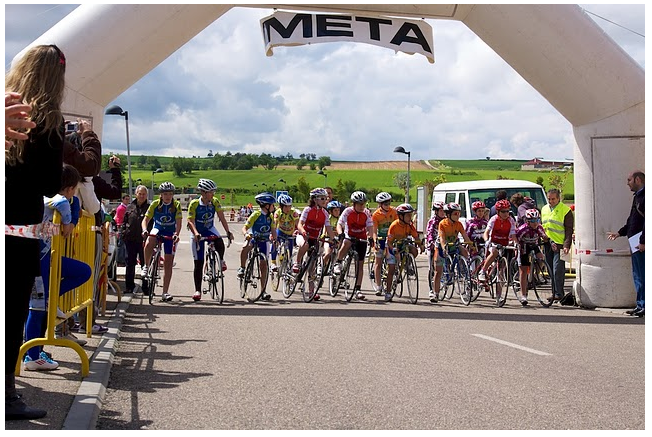 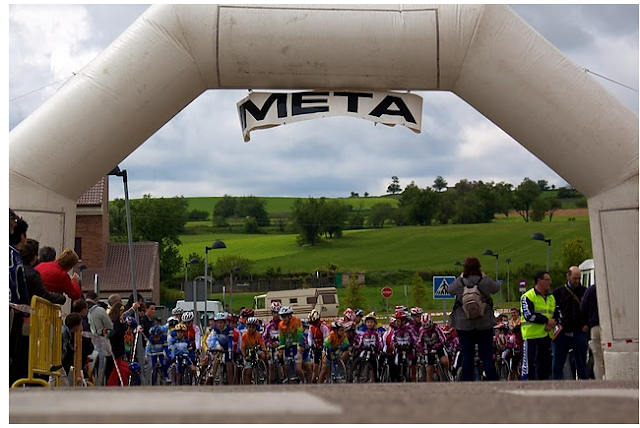 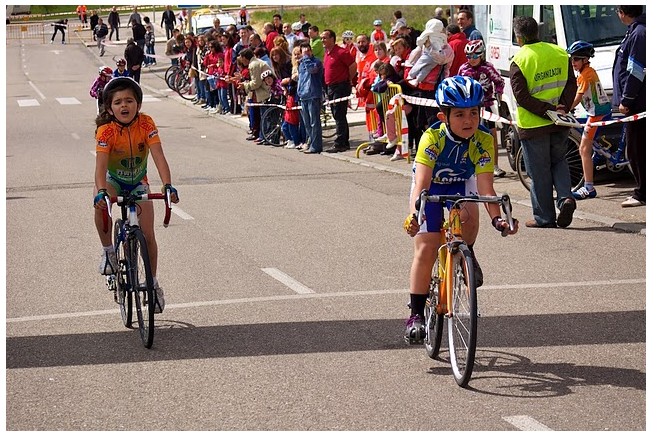 ORGANIZADO POR EL CLUB DEPORTIVO CICLISTA LA CISTERNIGA EL 1DE MAYO SE DIO COMIENZO A LAS PRUEBAS DEL CALENDARIO DE ESCUELAS DE CASTILLA Y LEÓN. ESTE III TROFEO AYUNTAMIENTO DE ZARATAN SE CONSOLIDA COMO UNA GRAN PRUEBA PARA INICIAR LA TEMPORADA, POR TERCER AÑO CONSECUTIVO ZARATAN NOS ACOGE Y NOS PATROCINA ESTE EVENTO. 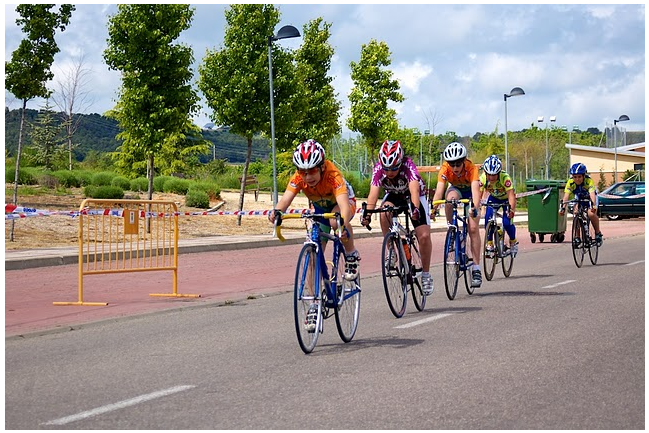 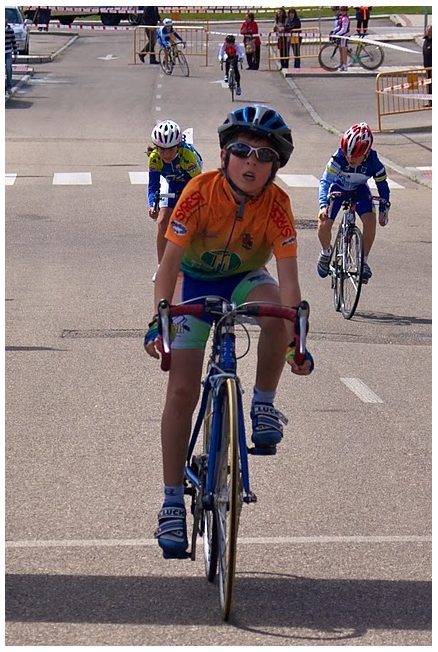 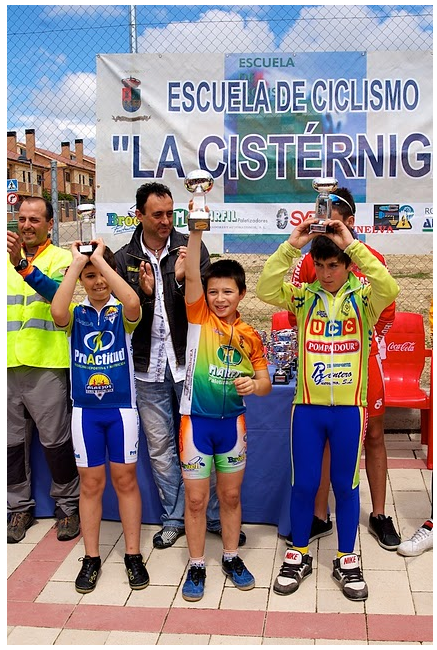 TENEMOS QUE DESTACAR LA PARTICIPACIÓN COMO INVITADOS A LA ESCUELA MADRILEÑA DE LA UNIÓN CICLISTA DE COSLADA, QUE ACUDIÓ CON SUS CAMPEONES DE MADRID EN VARIAS CATEGORÍAS. VEMOS LA LLEGADA DE LA PRE-PRINCIPIANTE JIMENA DE ROA QUE SE VATE EL COBRE CON LOS CHICOS DIVINAMENTE. 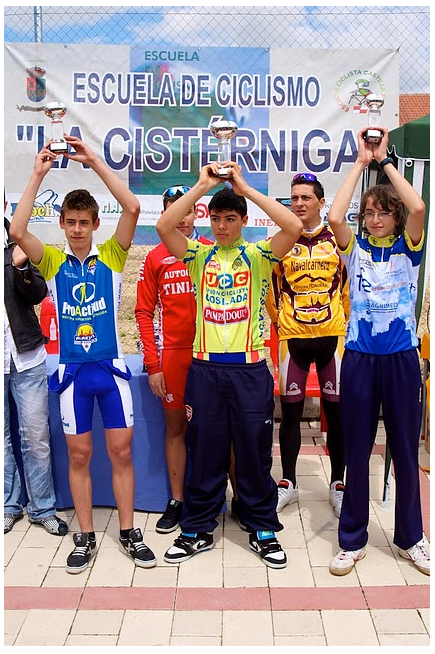 SERGIO GARCIA DE LA FUENTE CON SU TERCER PUESTO EN PRINCIPIANTES DE 2º VA AVANZANDO EN SU PREPARACIÓN Y EN LA CLASIFICACION. 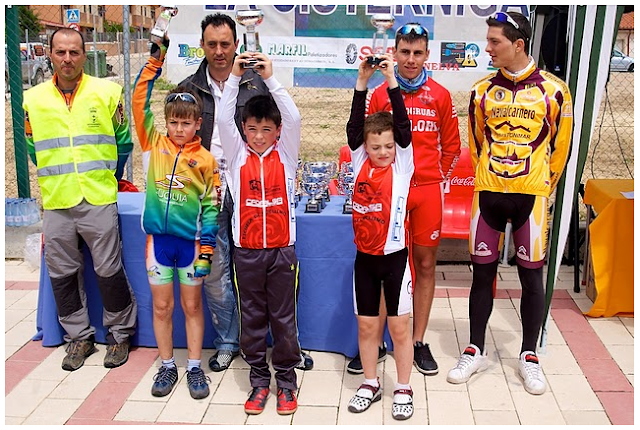 PARA LA ENTREGA DE TROFEOS CONTAMOS CON LA PRESENCIA DEL CONCEJAL DE DEPORTES DEL AYUNTAMIENTO DE ZARATAN D. VIDAL POLENTINOS AL QUE LE AGRADECEMOS TODO LO QUE HACE POR NUESTRO DEPORTE Y ESPERAMOS VERLO EN FUTUROS AÑOS A VISITARNOS (PUES NO SE PRESENTA A LA REELECCIÓN) ESPERAMOS QUE SU SUCESOR NOS ACOJA CON TANTO CARIÑO COMO EL NOS DEMUESTRA, GRACIAS POR TODO VIDAL Y SUERTE EN TU NUEVA ETAPA. TAMBIÉN ESTUVIERON PRESENTES ALLUDANDONOS EN LA ENTREGA DE TROFEOS LOS CORREDORES JUVENILES ALEJANDRO ARRIBAS EN LA FILAS DEL NAVALCARNERO Y ALBERTO NERI EN EL EQUIPO VALLISOLETANO DEL TINLOHI, AMBOS CUENTA CON UN GRAN PALMARES Y SE INICIARON EN LAS ESCUELAS DE ALAEJOS Y LA CISTERNIGA RESPECTIVAMENTE. GRACIAS POR ACOMPAÑARNOS Y SUERTE EN VUESTRAS CARRERAS. 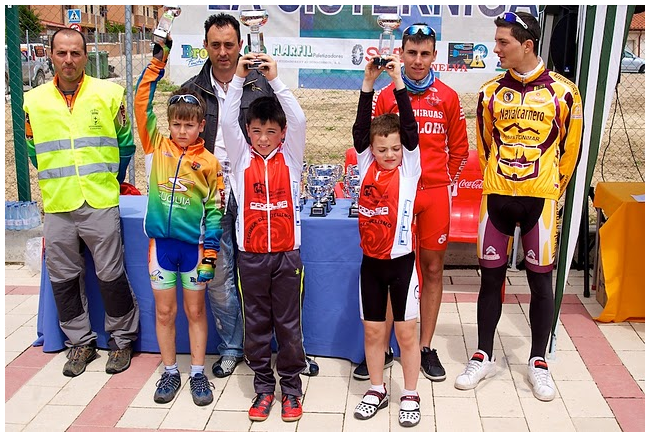 COMO ES TRADICIONAL EN ESTA PRUEVA SE CELEBRO UNA CARRERA POPULAR ENTRE LOS CHICOS DE ZARATAN QUE SE QUISIERON APUNTAR, FUERON UNA PARTIDA DE 33 PARTICIPANTES Y RECIBIERON SUS TROFEOS SEGÚN CATEGORÍA. 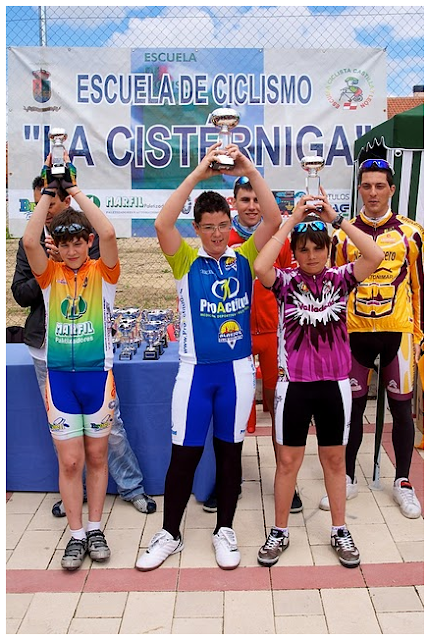 DARLES LAS GRACIAS A AMBOS CLUBS POR LAS FOTOS Y POR SUS CRÓNICAS.